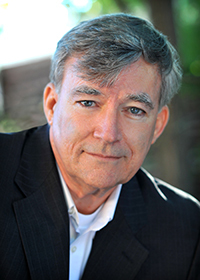 Focus 1 Associates LLC > RIA Compliance Blog > Simon Says > Simons Says: Common Deficiencies. Why? Because People Don’t Get It! Simons Says: Common Deficiencies. Why? Because People Don’t Get It! On February 7, 2017 the SEC’s Office of Compliance Inspections and Examinations (“OCIE”) released a Risk Alert on The Five Most Frequent Compliance Topics Identified in OCIE Examinations of Investment Advisers. These included deficiencies or weaknesses involving violations of rules under the Investment Advisers Act of 1940 (“the IA Act”). The footnote tells us that the Risk Alert reflects issues addressed in deficiency letters from over 1,000 investment adviser examinations that were completed during the past two years. 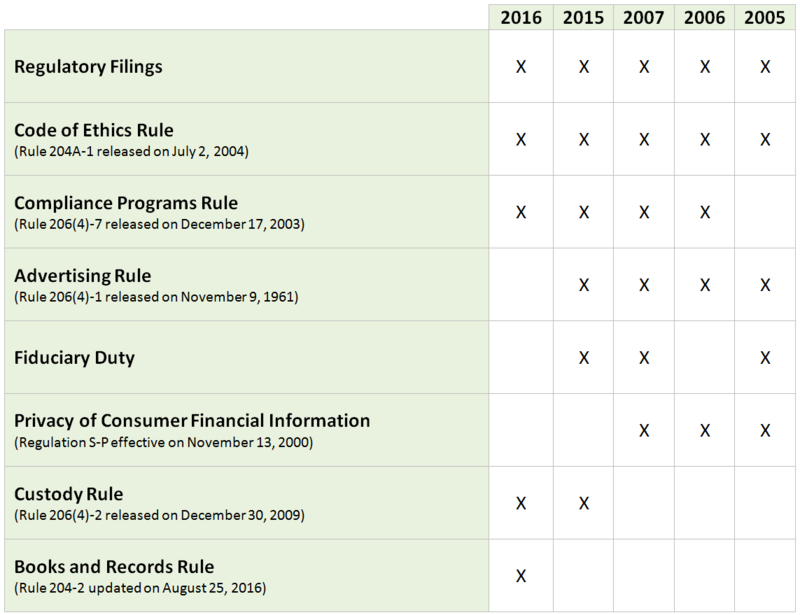 Advisers are obligated to accurately complete and timely file certain regulatory filings with the Commission. Among other filing requirements, Rule 204-1 under the Advisers Act requires advisers to amend their Form ADV at least annually, within 90 days of the end of their fiscal year and more frequently, if required by the instructions to Form ADV. Rule 204(b)-1 under the Advisers Act requires advisers to one or more private funds with private fund assets of at least $150 million to complete and file a report on Form PF. In addition, Rule 503 under Regulation D of the Securities Act of 1933 generally requires issuers to file Form D. Advisers typically file Form D on behalf of their private fund clients. Generally, Form D is required to be filed no later than 15 calendar days after the first sale of securities in the offering of a private fund. Untimely amendments to Form ADV. Incorrect and untimely Form PF filings. Incorrect and untimely Form D filings. The Code of Ethics Rule requires an adviser to adopt and maintain a code of ethics, including requiring all access persons to report and the Firm to review, their personal securities transactions and holdings periodically . Codes of ethics missing required information. Untimely submission of transactions and holdings. No description of code of ethics in Form ADV. designates a chief compliance officer responsible for administering the compliance policies and procedures that the adviser adopts. Compliance manuals are not reasonably tailored to the adviser’s business practices. Annual reviews are not performed or did not address the adequacy of the adviser’s policies and procedures. Adviser does not follow compliance policies and procedures. Compliance manuals are not current. contains any untrue statement of a material fact, or which is otherwise false or misleading. Communications with false or misleading statements. Failure to provide necessary information to prevent the communication from being misleading. Improperly claiming compliance with performance calculations and presentation standards. Investment advisers registered with the SEC or a state securities regulator are fiduciaries, subject to the duty of loyalty and due care with their clients. They are expected to act in the best interests of their clients. Fiduciary Duty has been a common deficiency for many years, just not in the top five or six. Not acting in the client’s best interest, suborning the client’s interest to the adviser’s or other clients, including not disclosing conflicts of interest. Internal controls related to brokerage arrangements and execution. Conflicts of interest not disclosed. Soft dollar practices inconsistent with disclosure. Inadequate controls to insure that client assets are invested in accordance with client objectives and restrictions. Inadequate oversight of third-party service providers. Regulation S-P requires registered investment advisers to provide certain privacy notices to its customers and consumers and to “adopt written policies and procedures that address administrative, technical, and physical safeguards for the protection of customer records and information. Privacy notices did not meet the requirements of Regulation S-P.
Business continuity plans were not established and/or tested. Advisers with custody of client cash or securities must comply with the Custody Rule. An adviser has custody if it or its related person holds, directly or indirectly, client funds or securities or has any authority to obtain possession of them. An adviser also has custody if it has an arrangement under which it is authorized or permitted to withdraw client funds or securities. The Custody Rule prescribes a number of requirements designed to enhance the safety of client assets by protecting them from unlawful activities or financial problems of the adviser. Advisers did not recognize that they may have custody due to online access to client accounts. Advisers with custody obtained surprise examinations that do not meet the requirements of the Custody Rule. Advisers did not recognize that they may have custody as a result of certain authority over client accounts. The Books and Records Rule has been a common deficiency for many years, just not in the top five. It requires advisers to make and keep certain books and records relating to their investment advisory business, including typical accounting and other business records as required by the Commission. Did not maintain all required records. Books and records are inaccurate or not updated. Custody can be a very difficult issue. Recently, the SEC staff took a position on standing letters of authorization which previously had not been adequately articulated to the industry. A no-action letter to the Investment Adviser Association and subsequent changes to the FAQ clarified that the adviser may be deemed to have custody due to the agreement that the client has with its custodian, to which the adviser is not a party. The no-action letter detailed remedies available to the adviser in this situation. Seriously, the Code of Ethics Rule (access persons have to report trades), the Compliance Programs Rule (you have to have policies and procedures that fit your firm and the kinds of services and products you provide to clients) shouldn’t need much additional explanation. I know there are exceptions to every rule, but exceptions to these two rules are not common. The key to a successful compliance program is not to worry about what someone or everyone else does, just worry about what you do! If you are an SEC registered adviser, you’re in the investment advisory business; as such it is your business to know the rules and regulations that govern the industry. Make educating your team (or at least someone on your team) a priority, or hire someone who already knows the rules. Any adviser who knowingly violates the rules, should do so with the belief that eventually they will be caught, and must decide whether it’s worth it.